Nepal Mountain Hub Treks & Expedition Pvt. Ltd. Explore the land of Himalaya, Picks something adventure, deals, discount and social contribution and more. Welcome to Nepal Mountain Hub, a proud tour operator of treks and cultural experiences in and around Nepal. Best trek organizer 2018, Upper Mustang Trek - Nepal. 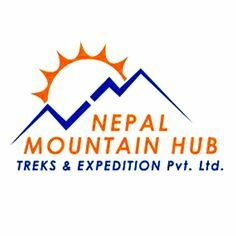 Nepal Mountain Hub Treks & Expedition Pvt. Ltd. is your enthusiastic partner who offers you fully guided tour, trekking, hiking and climbing trips to Nepal, Tibet and Bhutan. We offer overall activities like climbing expeditions, adventure trekking, sightseeing tours, cultural tours, family holidays, student travels, Wild Life exploration, Sports Tour, Convention Tour, Volunteer Tour, Research, Photography & Filming Tour and many more around attractive Mountains, High Hills, Mystic Cities, Culture & traditions of our vicinity. We explore you the striking hideaway around our unique nature. From stunning mountains to green hills and barren plains, the range you see in the topography of such a small country by area in itself is an experience.